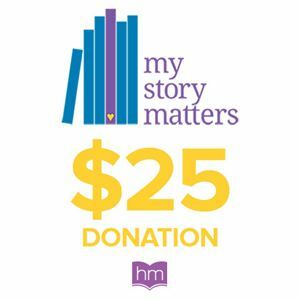 My Story Matters creates storybooks which help lift a child’s self-esteem, give individuals courage to face difficult situations, and tell stories that uplift and encourage each of us to be better. Your purchase puts a book in a child’s hands, which has long term benefits. Thank you for supporting this great cause!